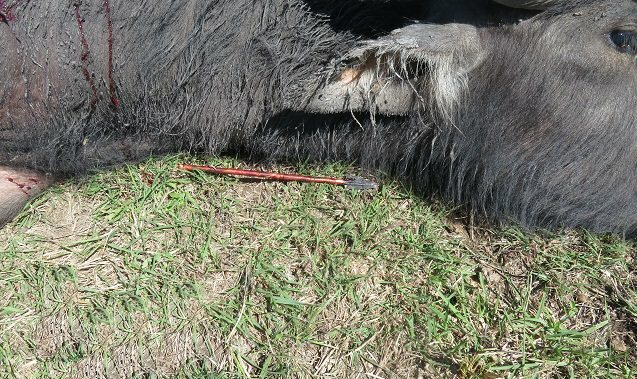 Fresh on the heels of last week's successful archery hunt for Vancouver bull and Polynesian pig in Hawaiis, I'm gearing up for a Water buffalo (and perhaps other species) bow hunt over the Easter weekend. 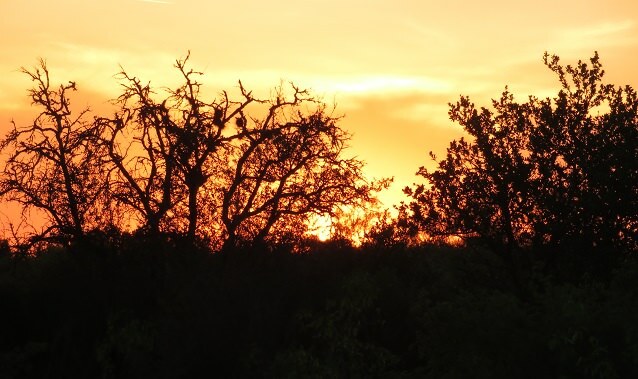 This hunt will take place in South Texas. The focus of this hunt will be Water Buffalo cows. Water buffalo cows have horns albeit smaller than the horns of the bulls. 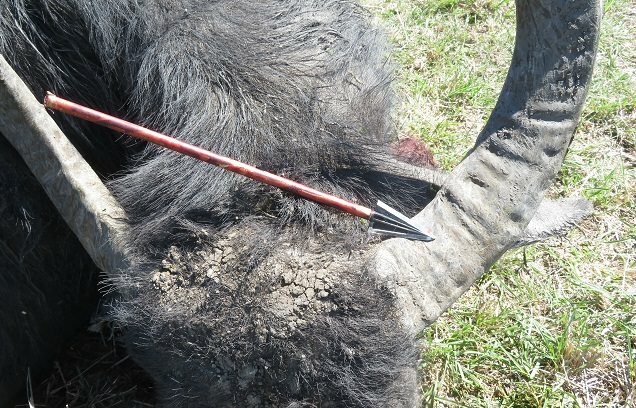 After my Archery Bull hunting experience in Hawaii and because I just read this link on Water Buffalo anatomy I was compelled to order some new broadheads. 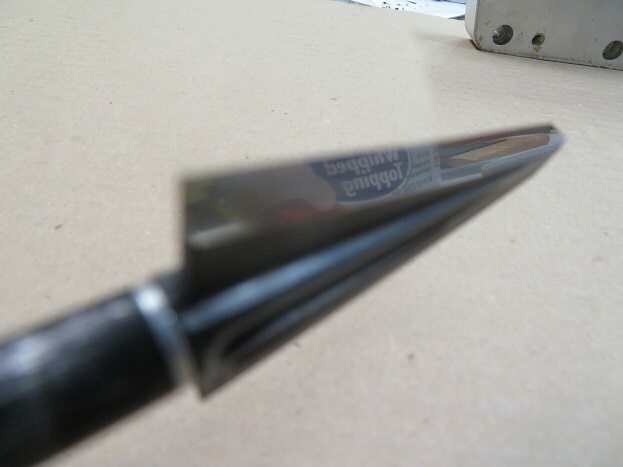 The heads I bought earlier for this hunt and planed to use on water buffalo suddenly seemed inadequate for the task so I ordered some 250 grain Cutthroat broadheads. Reading this scared me straight. 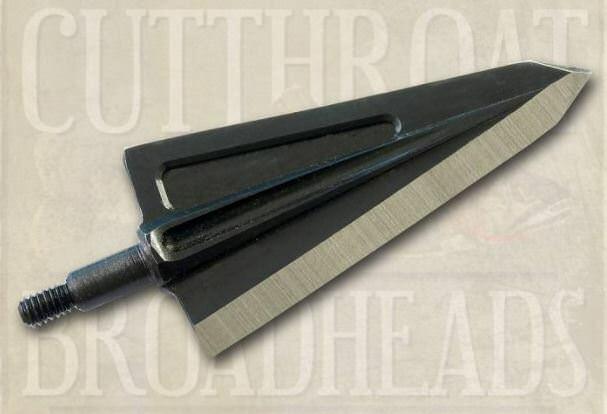 I placed an order for a half dozen, 250 grain, single bevel, Cutthroat heads. hopefully they arrive fast so I can put them through their paces on the range and hone them to a razor's edge. Unlike my Hawaiian bull and pig hunt, we are driving so I WILL be able to bring the meat home. The object of this adventure. 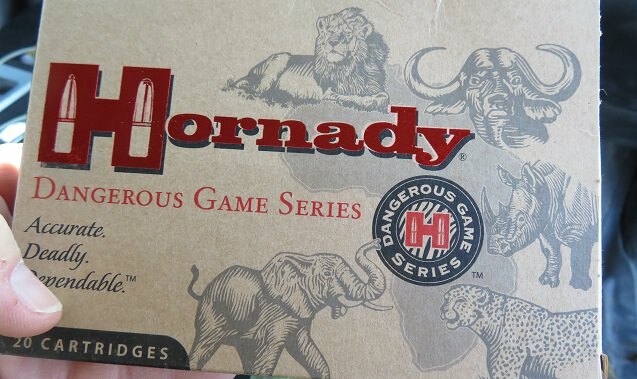 After some first hand exposure to Havalon Knives while on my bowhunt in Hawaii, That was the second purchase I made when I got back (right after the Cutthroat broadheads.) I picked up 3 dozen blades to begin with. 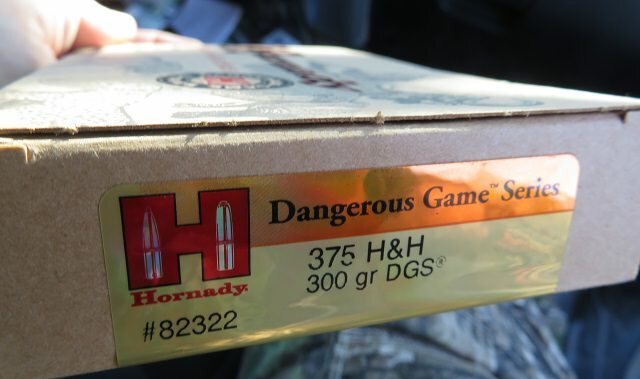 "These broadheads are ground to a burr. 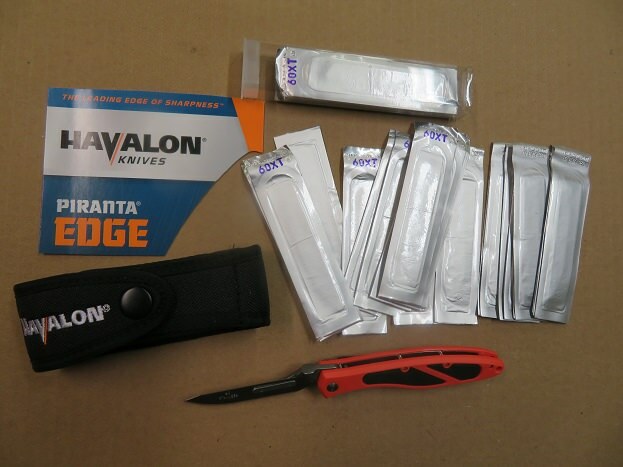 You will need to finish sharpening them before they are hunt ready. 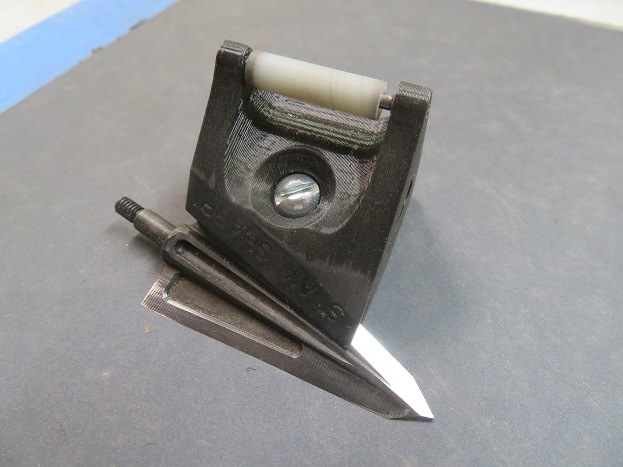 You can jump right to your fine stones or whatever method you use to finish your sharpening." 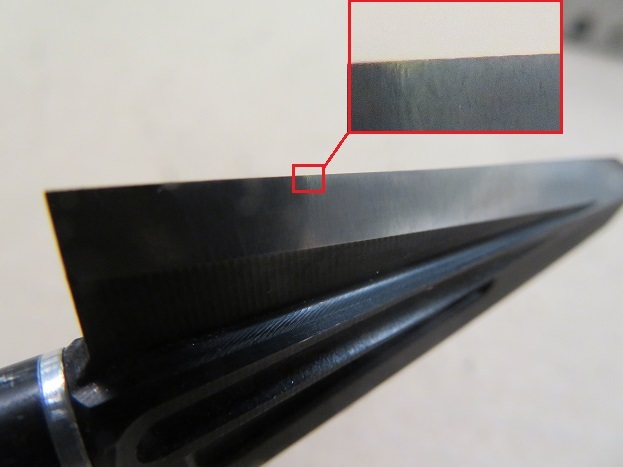 Thankfully I created the Stay Sharp Broadhead sharpening guide so I could take these heads to the next level and get them hair popping sharp with ease. 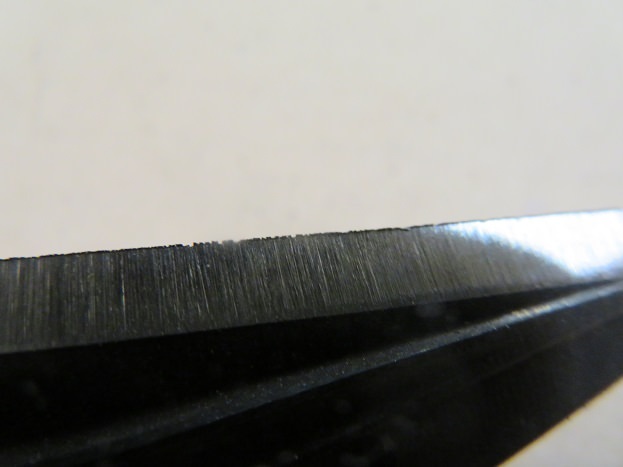 My Stay sharp and a few grits to sharpen and then polish the edge. A brief video showing just how sharp I got them. Next up is putting them into my broadhead target out to 60 yards. My traveling meat cutting arsenal is ready for the trip should there be a need to disassemble a Water buffalo. 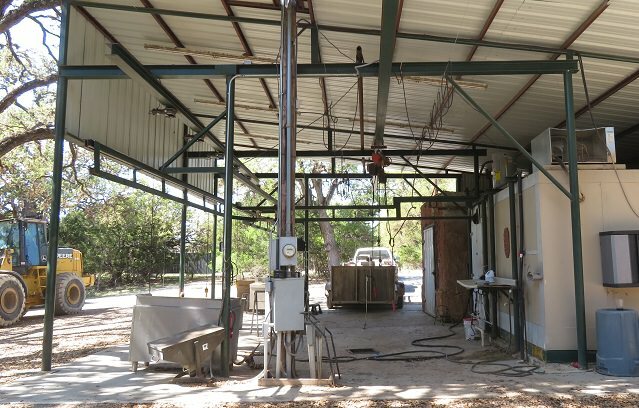 We will have access to the skinning shed and walk in cooler . Ive got a sawzall to split the carcass, Cut resistant glove, Poly griper glove, A belt worn knife scabbard (holster) A variety of knives with different purposes, A boning hook to pull and handle the pieces of meat while cutting, A poly apron and a few sharpening sticks (steel, diamond and ceramic) To sharpen as blades dull during the process. And of course a cooler or seven to transport any meat. The forecast calls for temps in the low 80's. 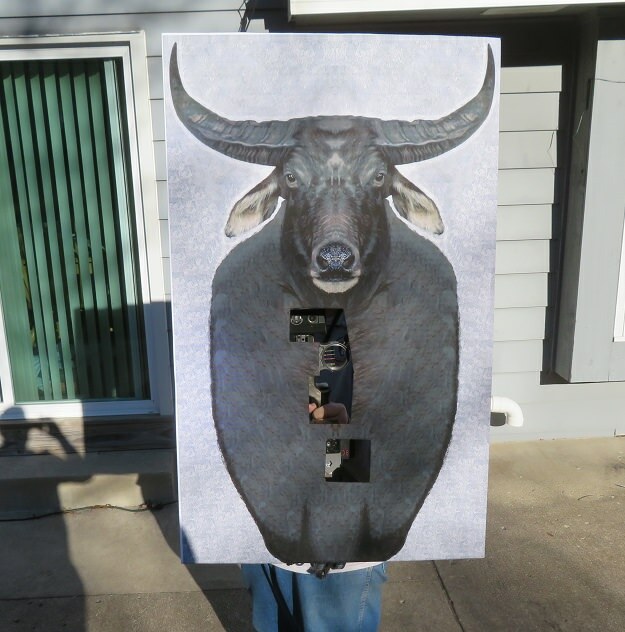 I wonder if my homemade water buffalo, Bow mounted decoy will result in me getting trampled? 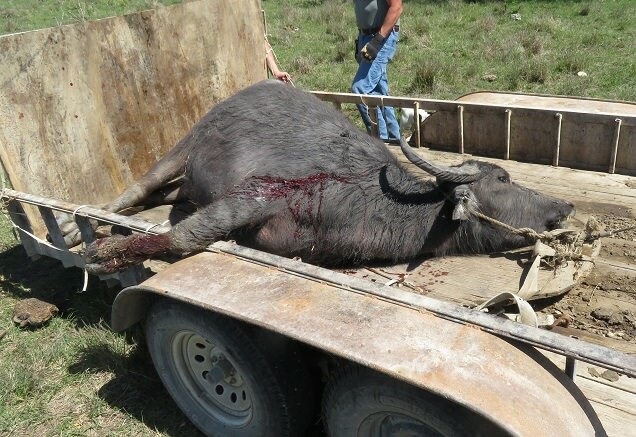 On March 28, 2018 I headed from South East Wisconsin to Utopia Texas for a 3 day water buffalo Bow hunt. After working a regular day, I loaded my truck and headed to Dubuque Iowa to meet up with the rest of the group of Wisconsin Hunters at 6:30 pm. Over the following 24 hours we covered the 1,450 miles without incident. We arrived at the Ranch the early evening of the 29th. 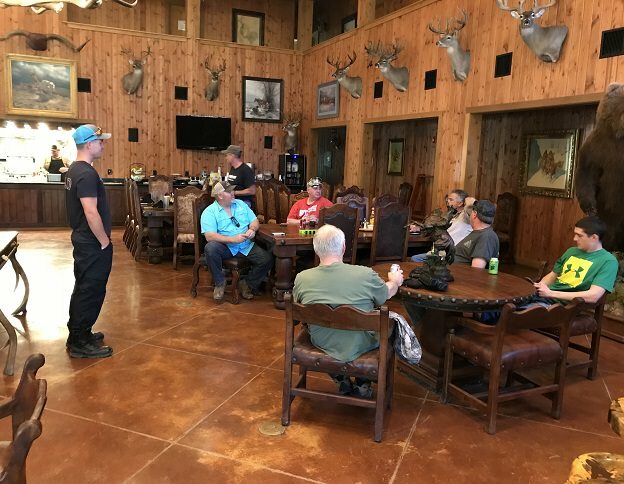 After unloading our gear, we met with the guides to discuss the plans for the upcoming days hunts and then it was off to shoot our bows to make sure everything survived the trip. 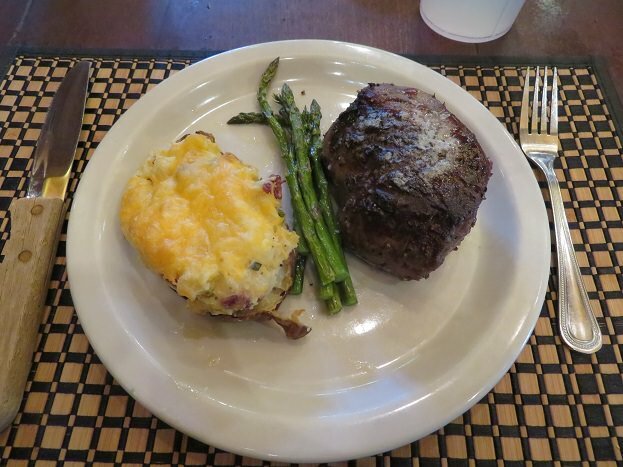 We enjoyed a great BBQ supper and talked more about which guides would pair with which hunter based on the species we were after. Then it was off to bed. Normally, the night before a big hunt, I struggle to sleep since my head is racing but after being awake for 40 hours straight, the night passed quickly. We enjoyed a fantastic breakfast with our guides and covered more details. 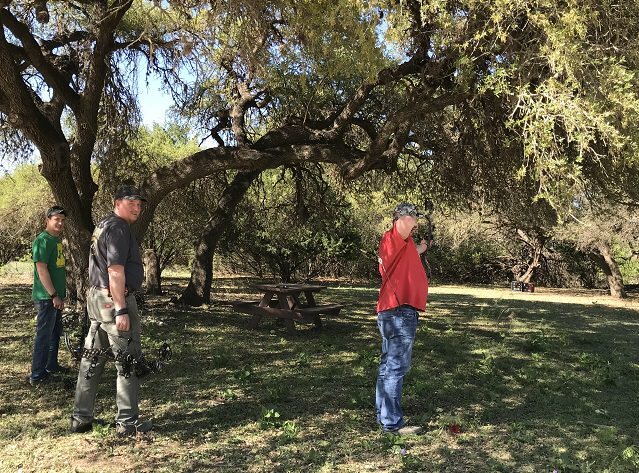 We talked about our comfortable shooting distance and further about our gear, bow weight and broadheads. 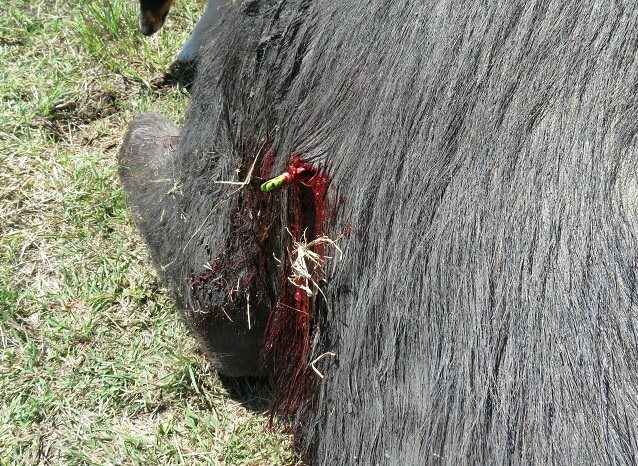 I asked it any bowhunters in the past had gotten a pass through on an adult water buffalo. They laughed and said no. They explained that the hide is just too thick. The hide on the shoulders and upper neck can be as much as an inch thick. This is no doubt the evolution of dealing with large predators to protect them from the claws and teeth of big cats. 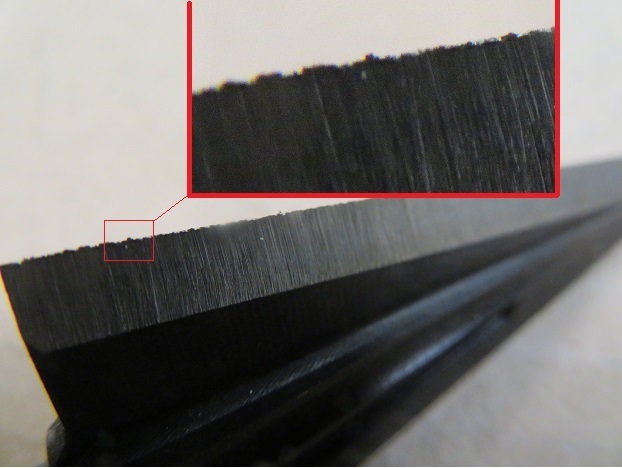 They said the hide and ribs have to be breeched and the blade edge has to still be sharp after cutting through that much material to deliver a lethal hit to the vitals. Mechanical heads were not a viable option. I was happy to be outfitted with 250 grain, Cutthroat, single bevel heads that are made of super hard steel. 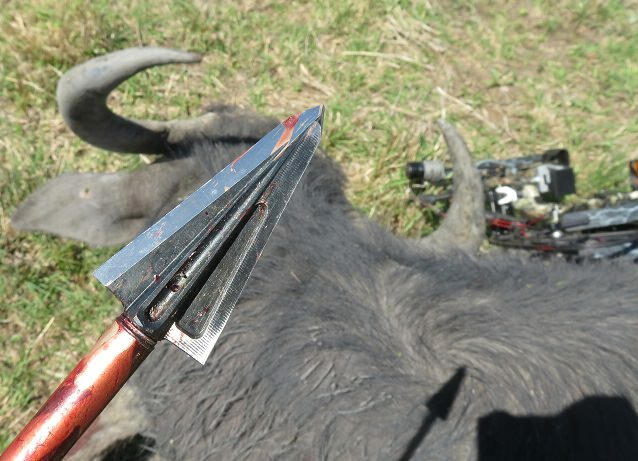 After shooting these razor sharp heads for weeks into a broadhead target, the blades showed no sign of dulling where, replaceable blade heads would have dulled after only a few shots. I had confidence in the gear I brought. 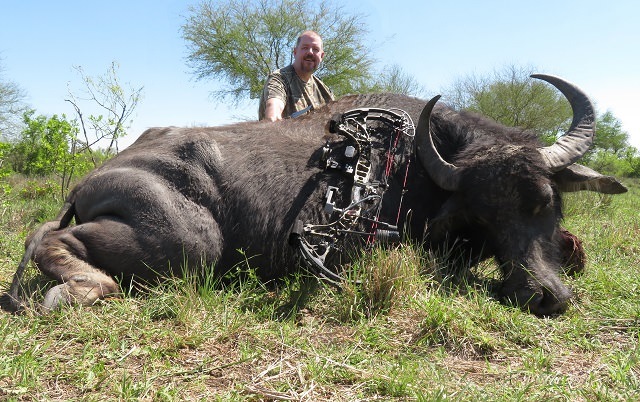 Because another bowhunter in our group was also interested in hunting water buffalo, he and his guide paired with us and the four of us piled into a truck and headed out just after day break. 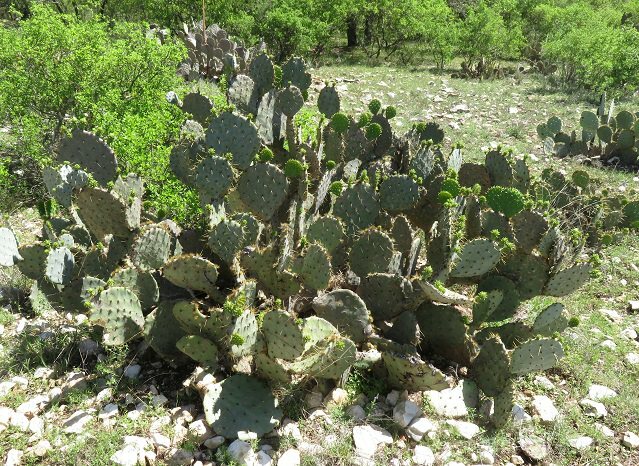 The ranch covers 20,000 acres (more than 31 square miles) and is mostly flat land with low brush, mesquite, live oak, prickly pear and lots of rock. 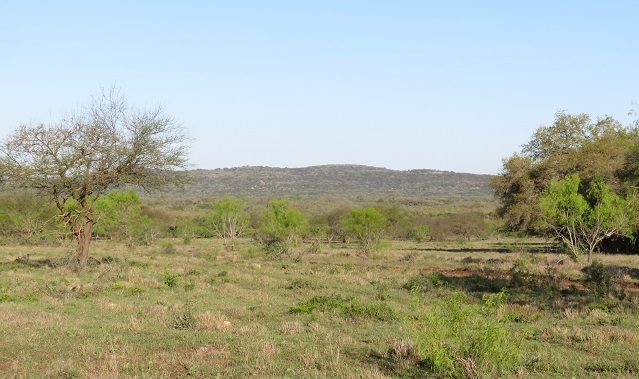 There were some hills that could be seen in the distance but what we were hunting was a mix of scrub and broken prairie which looked very much like images of Australia or Africa. 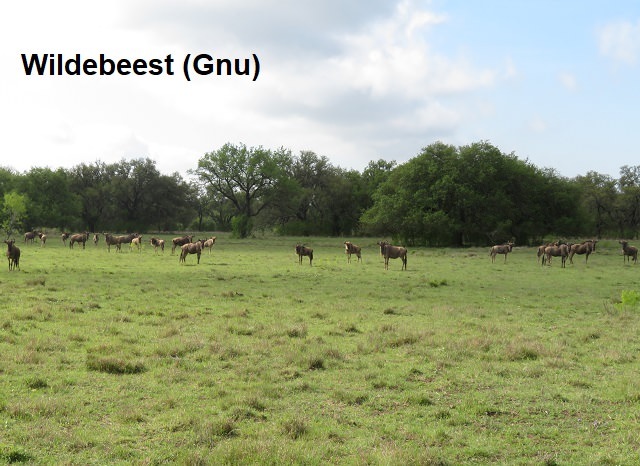 Water buffalo were more likely to be found in the thicker scrub but Wildebeest were found in the open prairie. 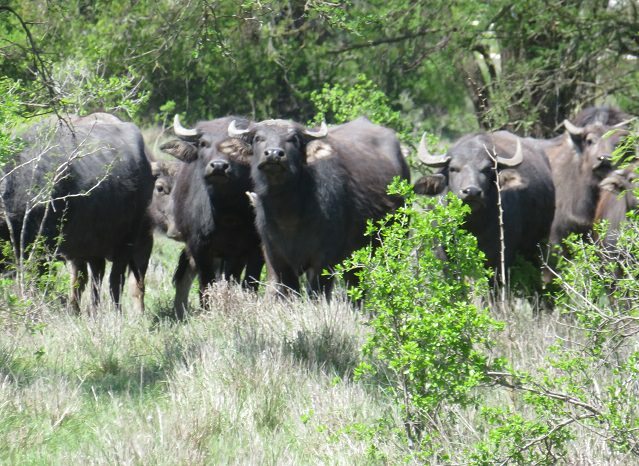 We did encounter groups of water buffalo but having 15 or 20 sets of eyes on you made stalking difficult. 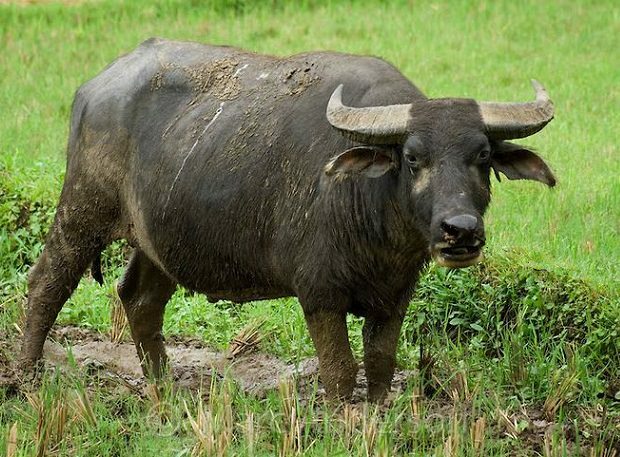 When threatened or pressured, the water buffalo tactic was too tightly group and stare down the threat. They would not break up and scatter. They stood their ground. If you pressed the matter, they would turn and stampede away to thicker cover but always as a tight group. All the while being vocal in their protest. The other option was than they would charge and stomp the intruder. The guides talked to us about shot angles how robust Water buffalo are and their ability to absorb punishment and stay on their feet. The guides carried large caliber long guns to back us up in case things turned sour and to take down a less than lethal hit. 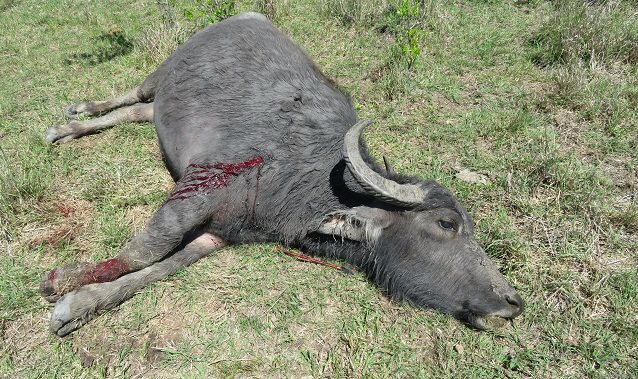 The reason for this was that tracking a wounded water buffalo in the thick cover was risky. If a poor hit was made, they would be quick to shoot. 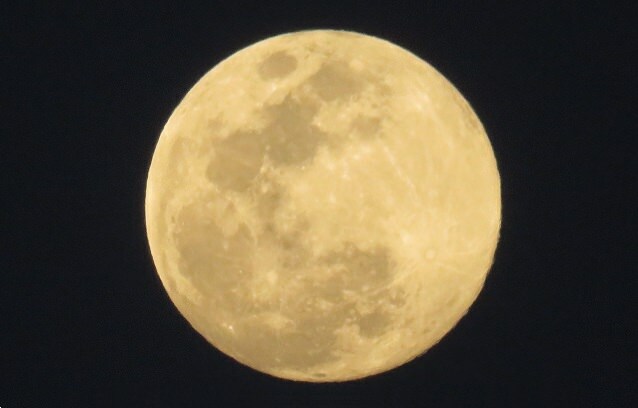 I was carrying a digital camera with 40X zoom so while we were not getting close, the camera lens could. I don't know how many miles we walked during the morning hunt but several estimates were made. All I knew was that I would again, sleep well. 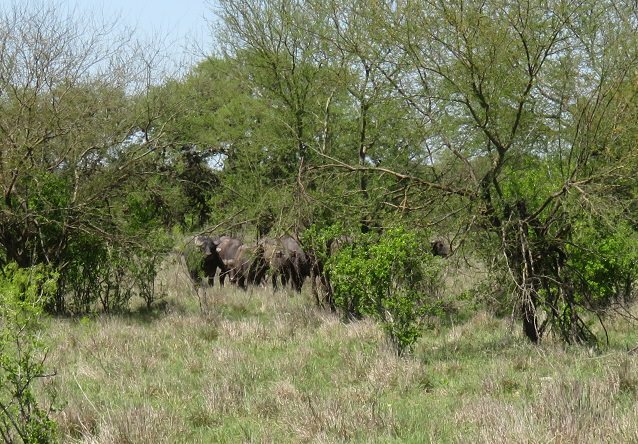 After lunch we set out to find a particular herd because we were targeting older cows in an effort to help depopulate the ranch's water buffalo herds. We opted to split up rather than moving as a group of 4 people. Guide Jeff and I headed back to the truck and in the process, stumbled upon the group we were after. We tried to cut them off but they knew the game and beat us again. We focused on water but we were never able to encounter them at any watering holes. In our search we came across a group of cows with a herd bull. As we deliberated our play I spotted movement to our right. It was another lone bull intent on challenging the herd bull for the cows. I was not able to see the battle but we could hear the clashing of head and horn and stomping and grunts. The challenger was sent packing. The herd disappeared in the thick brush. We later learned the other bowhunter and his guide were very close to getting a shot but once again were denied. The guides texted one another and we met back at the truck to regroup and to try to locate the herd. After searching for some time, we found the herd we were after about 3 miles from where we had last seen them. We made a move on them and closed the distance. I was able to get within 30 yards of the biggest cow. Attached to my bow were 2 cameras. I was hoping to be able to capture the shot. Here is a screen shot from the video taken by my bow cam just prior to the shot. As I stood there, facing the herd and the large cow, she and another cow were onto me and stood long enough for a 30 yard broadside shot. I drew, aimed and released. 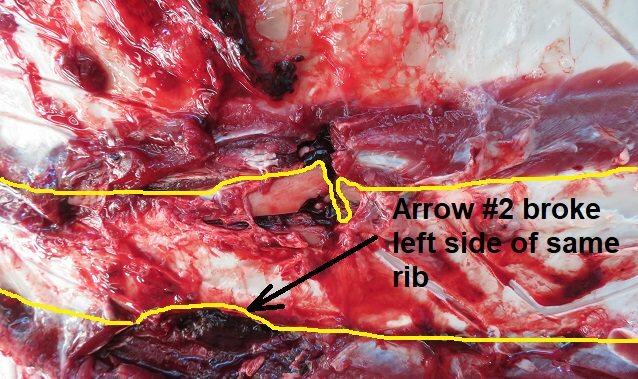 The arrow was on a perfect path for a double lung hit and I worried that they would duck/flinch like Wisconsin whitetails do. I was pleased to see her stand there, solid as a stone and take the 700 grain arrow deep into the vitals. On impact, she turned to flee and I could see about 10 of the 31+ inches protruding just behind the shoulder just before it snapped cleanly off and fell to the ground. The herd reacted to her departure and they surrounded her when she stopped after only 30 yards. The cows were vocal and on high alert with the wounded cow in the center of them. 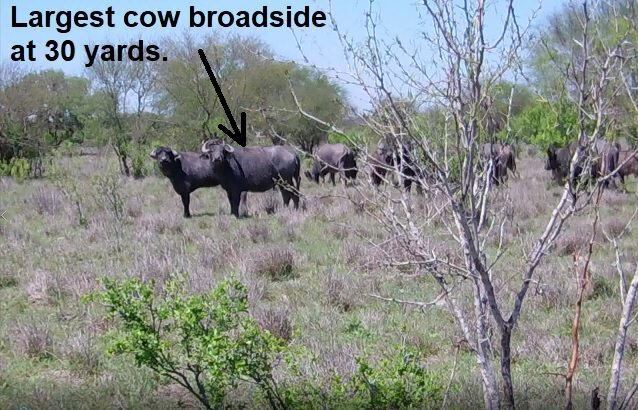 This left no shot for the guides carrying rifles but it turns out the rifles were not required because the herd was not fleeing and she went to the ground after about 3 minutes. She bedded with her head up and our presence made the group move off about 60 yards. The guide and I approached her from her rear quarter. He said to put another arrow into her. I delivered another to her vitals. 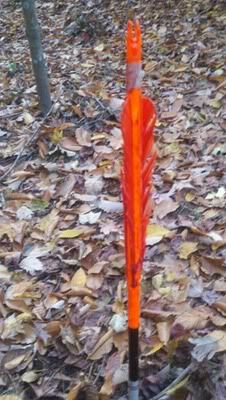 That arrow buried itself to the nock and the broadhead passed through the far side. In a couple minutes, she was still. The herd returned in an agitated state so the guide and I backed off. They again circled her and milled about her location. As soon as they arrived, they moved off again. 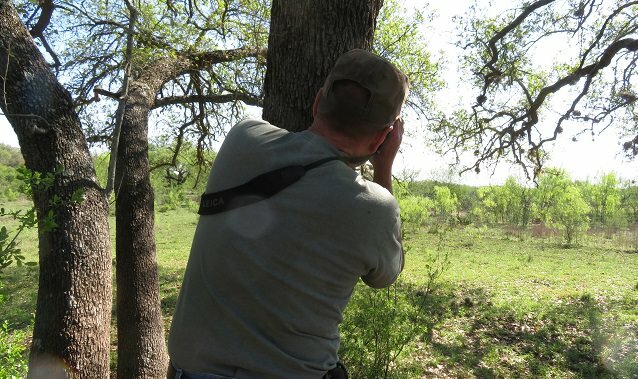 The guide said that they would continue that pattern and that the other hunter and his guide would be smart to position themselves behind some brush about 30 yards from my cow and wait for the next return. My guide and I retreated where I filmed their hunt. 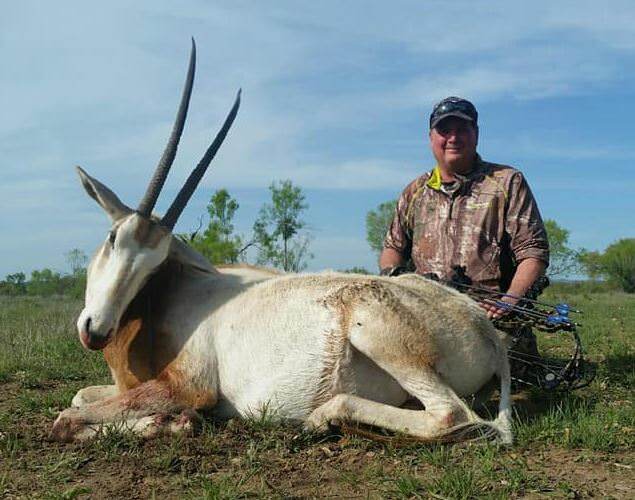 The herd never stopped moving and the target animal the other hunter was to attempt to kill, never presented a shot. The herd moved on off, not to return. When it was safe to do so, we approached the downed cow. The exit side hole and the arrow laying on the ground below her neck. 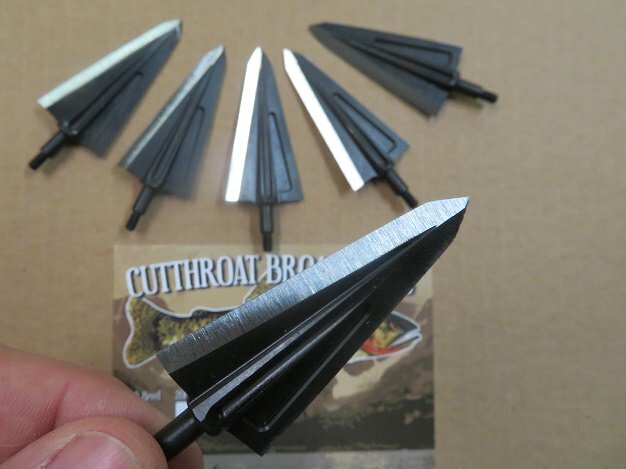 The quality of the steel in cutthroat broadheads is so good that despite busting through a rib and passing through the thick hide on both sides, the head was still as sharp as when I honed it. These heads are amazing. The guide went to the truck and used the CB radio to see if anybody within ear shot could bring what they termed the "meat wagon" We used our truck to meet them mid way. The flatbed trailer and cable winch were the only way to move such dead weight. 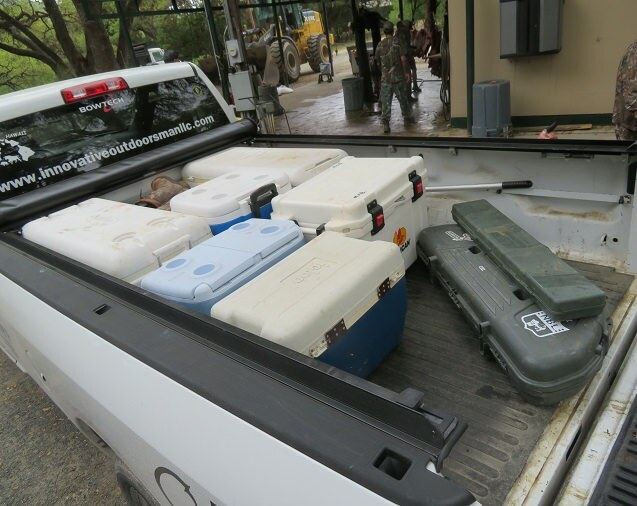 With such high temps, we had to immediately head back to camp and the butchering facility which included chain winches, running water and 2 walk in coolers with a trolley track to move carcasses. We skinned the cow as far as we could on the trailer and then raised it to finish the task. During butchering, I could see that the two shots hit the same rib and were only about an inch and a half apart. 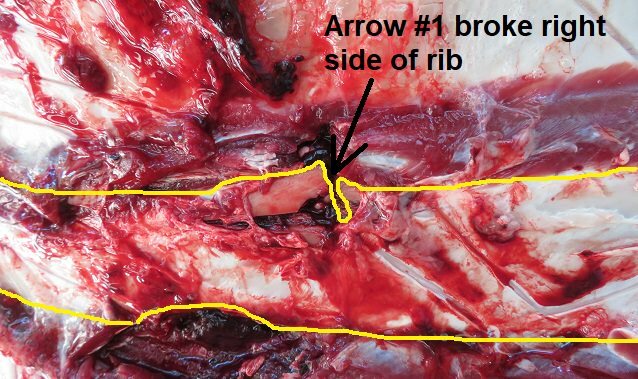 The first shot broke away a portion of the rib. The 2nd shot sliced away a curved chuck of the same rib. With myself and two guides, we went from a trailer full to a quartered beef in the cooler in under 2 hours. It was late enough at that point that we enjoyed supper before heading back to the woods. The camp provided and fine meal for super. With my water buffalo tag punched and the meat in the cooler, we talked about the end of the day hunt for the other bowhunter. I tagged along to video his hunt. 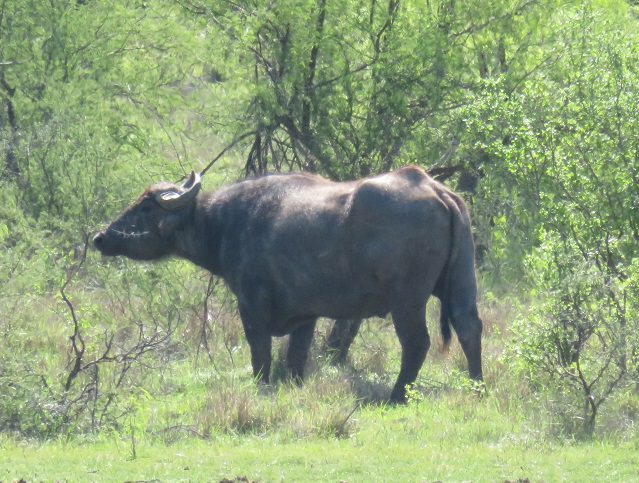 We did have a few encounters with water buffalo but no shots were taken. We returned to camp after dark. 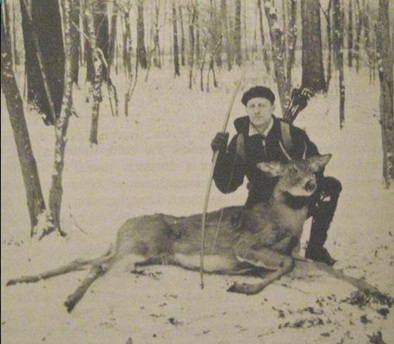 at that point in the day, no other hunters had taken any of the species they were hunting. When all the animals were in the cooler we headed to the lodge to tell the stories. 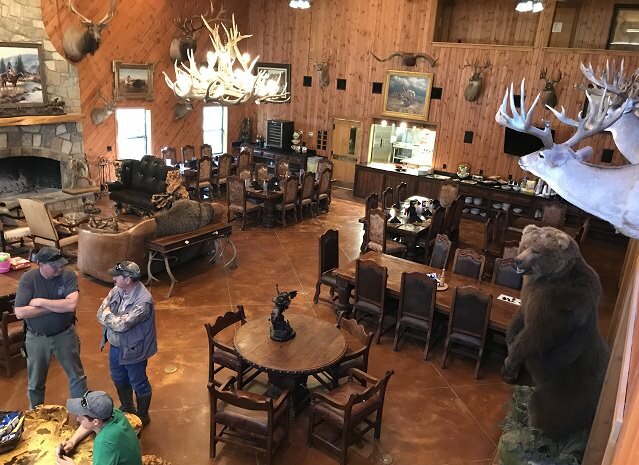 I met with the ranch manager and asked about adding another hunt since I was not interested in sitting back at camp for the next 2 days. After seeing the Eurasian boar, I added that species to my trip. Saturday morning came fast. Again, I slept like a baby, exhausted from the events of the prior day. 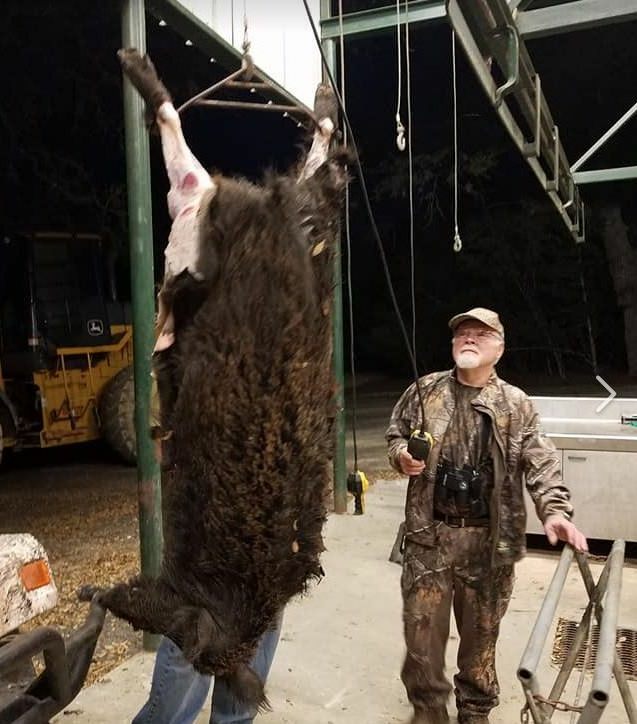 I teamed up with the ranch manager and we headed out with another hunter before going after a boar. We left camp in one of the safari jeeps which featured an upper deck with seats for game viewing and for pig shooting. 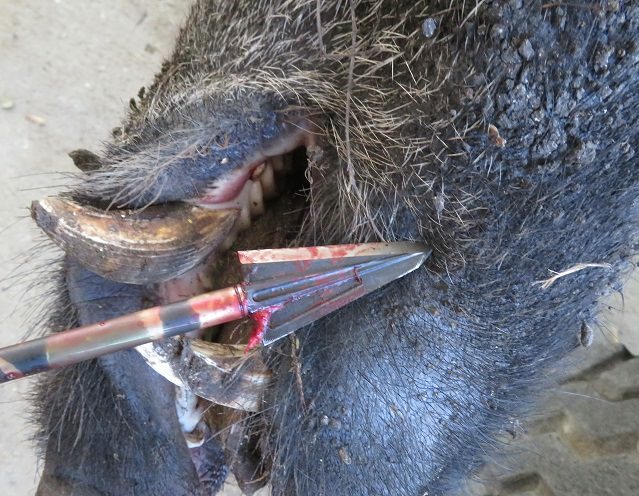 We started the pig hunt on foot but because 2 boar were killed by hunters the evening before, the hogs were on edge. We were seeing hogs but they were having nothing of it and were always moving and far out of range. we did have a close encounter with one very large boar The boar looked more like a bear than a pig. 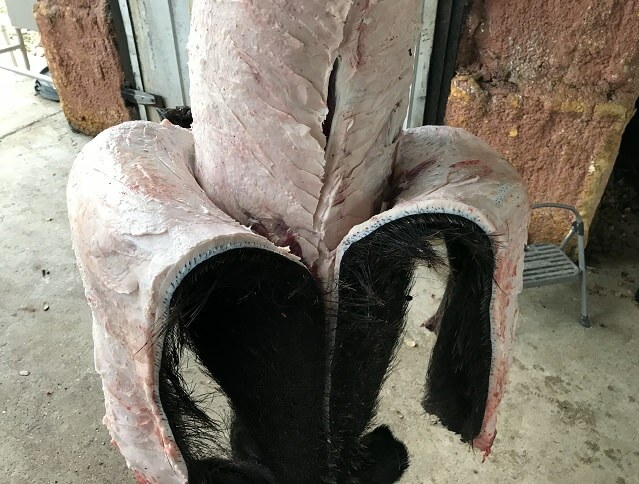 He was big, black, covered in dried mud and hiding in the shade of some trees but the ranch manager said that if I was interested in quality meat that the old boar we saw was not good for much more than a skull mount. We returned to the safari jeep and we cruised the ranch. We came upon 2 old boars hiding in the shade so we sat and watched. Eventually one of the boars opted to move on. His path put him at about 25 yards from my location. The boar stopped briefly and I drew. I aimed and just as I released he began walking. By the time that arrow made it those 25 yards it entered further back than I hoped. The arrow passed through him like he was an empty paper bag, the arrow hit the hard and dry earth with a cloud of dust. The boar took off but not as fast as I would expect after just being hit with an arrow. The big boar made it only 30 yards and topped in the shade of a large bush. He began to circle in place. The other boar that he was traveling with stood over him, pushing at him with his head. My boar appeared to be dead. We advanced cautiously and the living boar ran off. 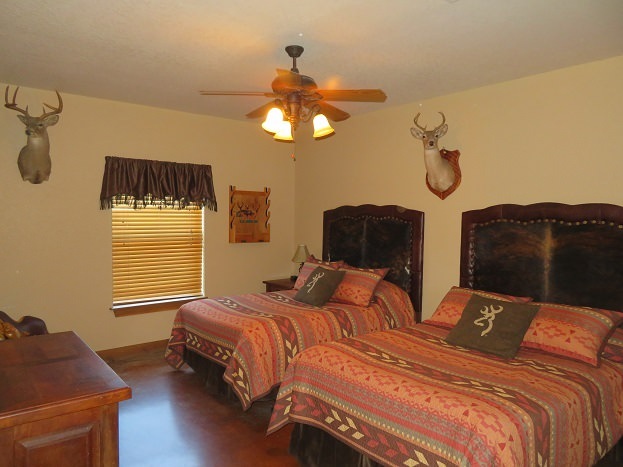 The ranch manager said that the boar was still alive and that I should shoot him again. I had approached the board from the rear, and quartering at about 10 yards. His head was buried in the thick brush, preventing him from seeing me. 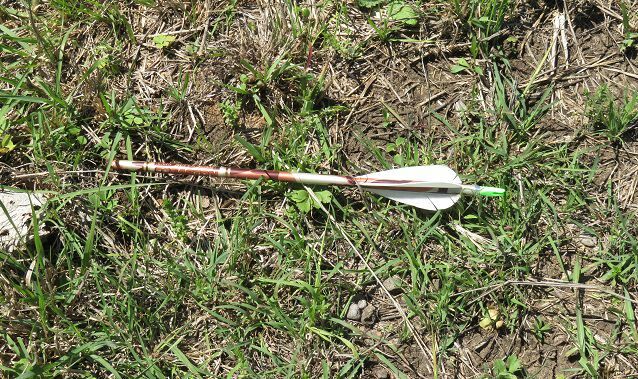 I drew, aimed and released, expecting no reaction. . My arrow passed through both lunges and buried itself into the far side shoulder. Instead of simply dying, the big boar was up and running as soon as the arrow hit. He didn't go far before standing stiff legged and then toppling over. Once on his side, he gave out several kicks and then was quiet. 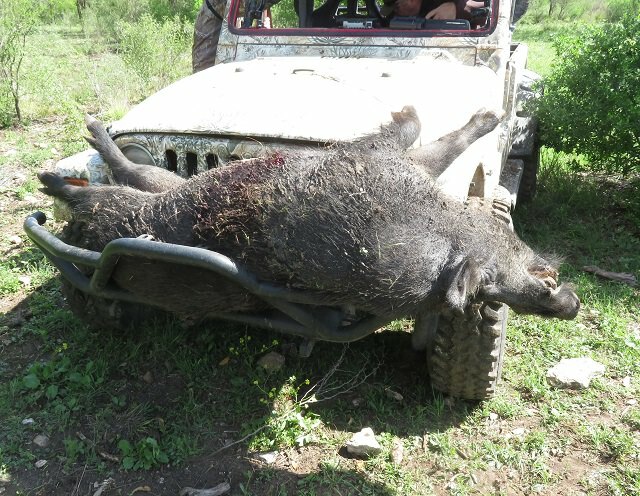 It took 4 people to lift the boar onto the jeep. Because everybody claims to kill 300 Lbs. hogs and since I knew I would be asked what it weighed, I used their scale. 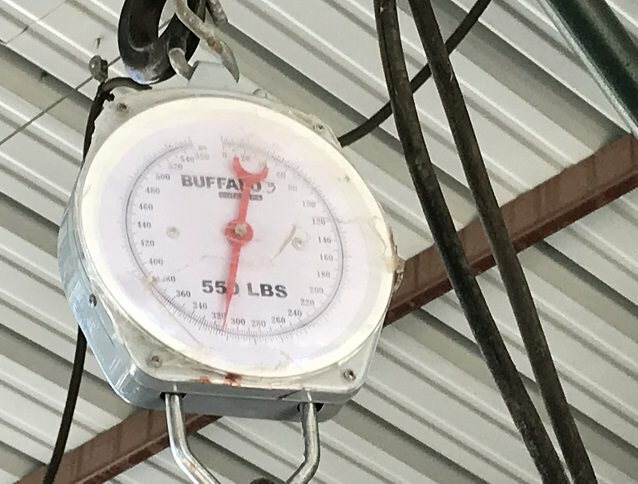 318 Lbs. 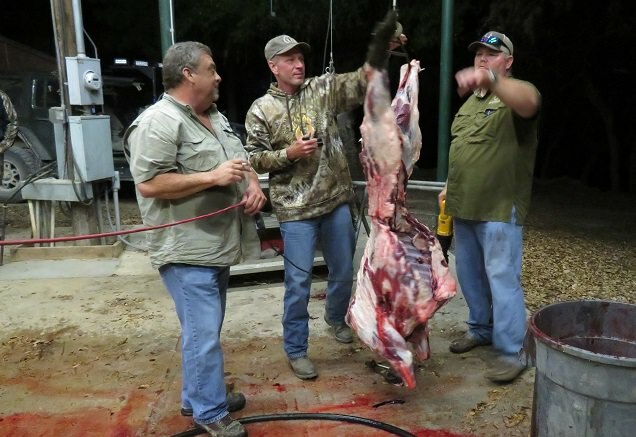 We gutted the hog and placed him in the cooler and went back to the main building for supper as other hunters returned to camp. Plans were made for Sunday morning hunting. Because I had all the meat I cared for, I slept in on Sunday. 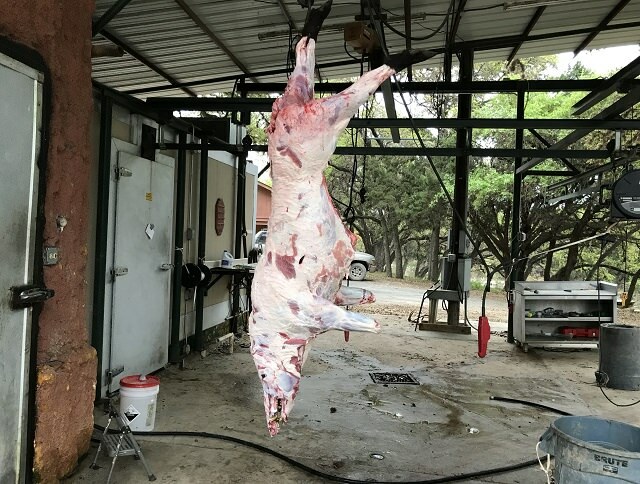 After Breakfast, the camp was empty so I grabbed by butcher kit and headed to the walk in cooler to disassemble my boar. Since he had a huge skull, I skinned the entire boar, head and all before cutting him up. 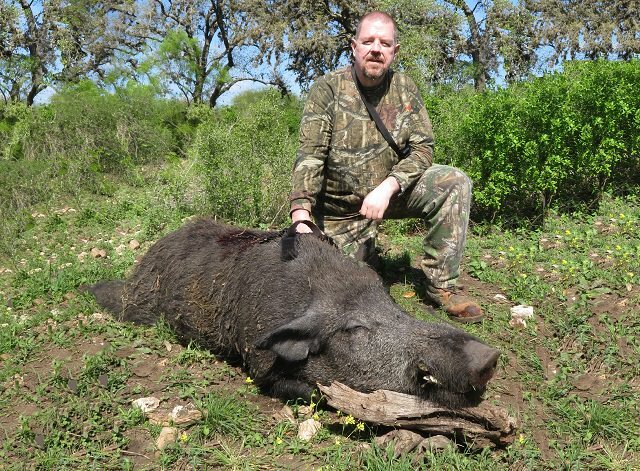 This is the largest hog Ive killed. While skinning I got to the shields and I was glad I hit him a little further back. The shield is very thick and solid. It could not be bent while skinning. 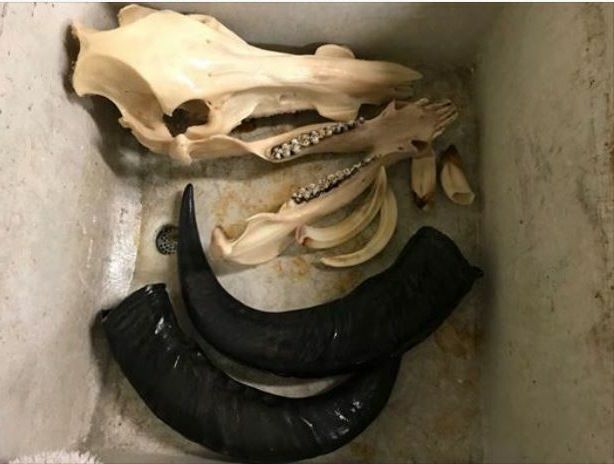 I placed my boar skull in the cooler with my Water Buffalo skull. 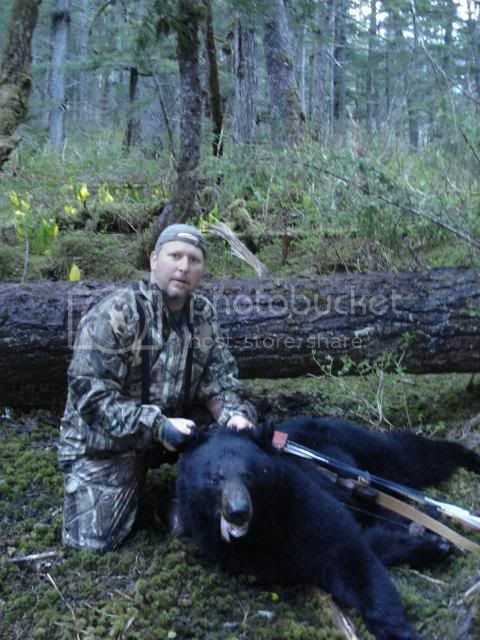 Around mid day, other hunters arrived back at camp, their animals processed. 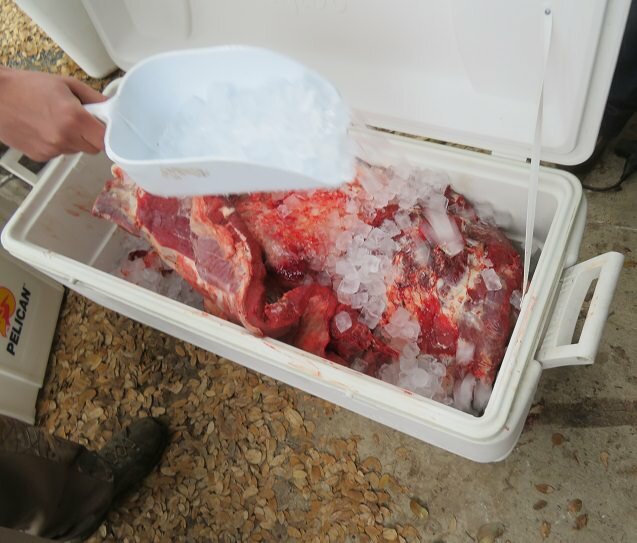 After lunch we began the process of deboning our meat to cooler sized chunks and packing it on ice for the 24 hour return drive. My truck, ready to head back to Wisconsin..
Aside from the long drives, this was an incredible trip. I put together the footage from my bow mounted cameras.. You can view it at the link below. As soon as I returned home from the hunt (Monday) I put the skulls in water to begin the process of doing euro mounts. As of last night (Thursday), I've made solid progress. Getting the horn sheaths of the cores of the skull of the Water Buffalo was a real pain. I could only fit one horn in a 5 gallon bucket at a time. I filled the bucket with boiling water and submerged the horn in the water for a half hour at a time (while bringing the next five gallons of water to a boil). It took several soakings and some hammer and knife work to free them. Meanwhile, the Big Boar skull was in hot water of its own. This is what I started with on Monday. 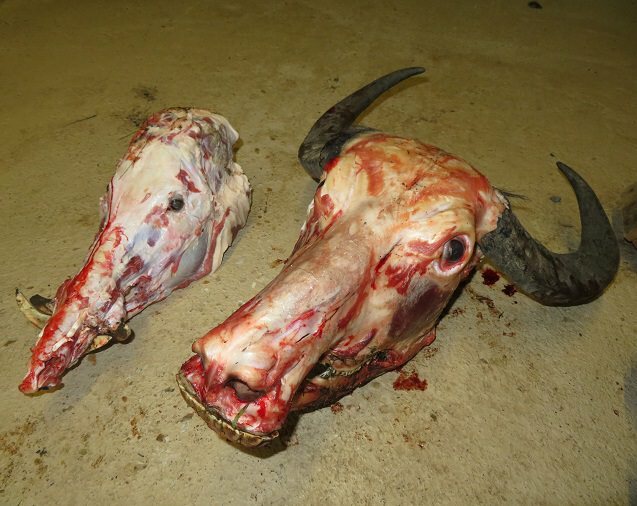 Once I get all the meat off the Water Buffalo skull I will whiten all the parts and reassemble them. 20 sum years ago, I hunted pigs for the 1st time near utopia . Nice country , I sorta miss it. Thanks for the pics. 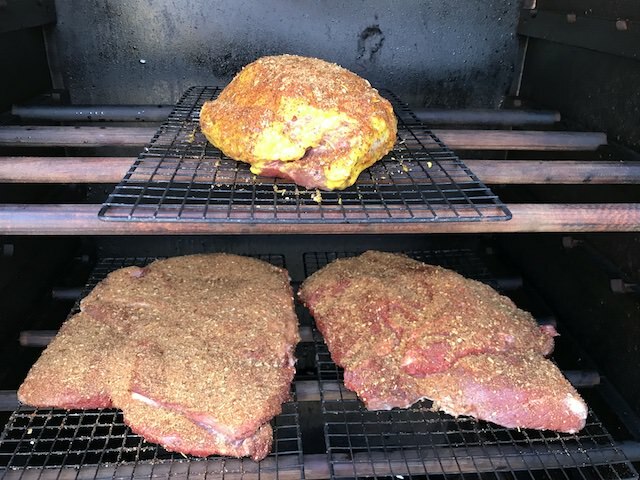 On Sunday I put some of the Eurasian Boar roast and water buffalo brisket in the smoker. 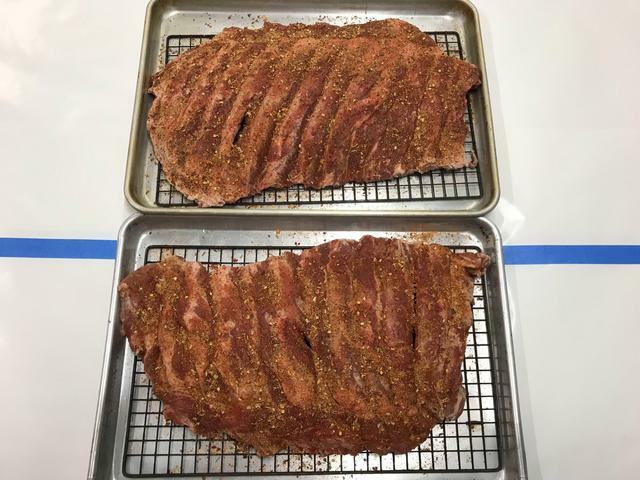 Later I will add the boar ribs to the smoker. Supper looks to be pretty good. Cutting up the Water Buffalo And eating some Tenderloin, Rare. Nosey neighbors while smoking the meat. That's a ton of meat ! How's the buffalo ? ITs excellent. Grass fed organic beef.